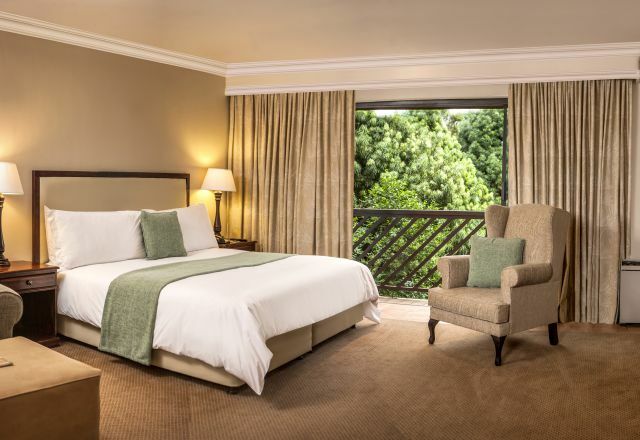 The hotel’s 78 well-appointed en-suite rooms provide guests with a host of amenities such as 500mb free WiFi per room per day, air conditioning, a fridge, in-room tea and coffee facilities, DStv, and more. 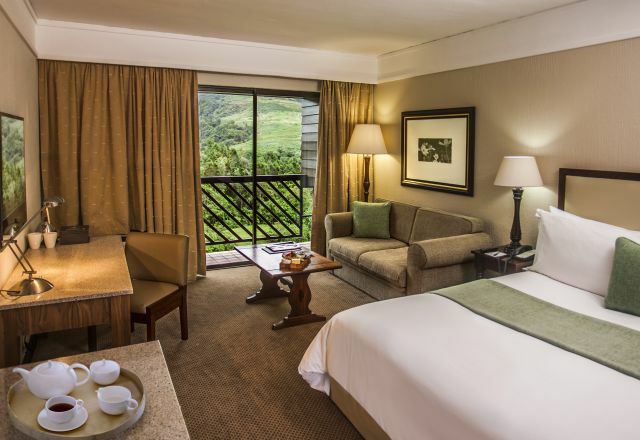 Our rooms offer spectacular views of the stunning gardens and magnificent Cathkin Peak and surrounding mountains. The accommodation is tastefully furnished, with stylish rustic décor that reflects the natural setting, creating an atmosphere of calm relaxation and rejuvenation. 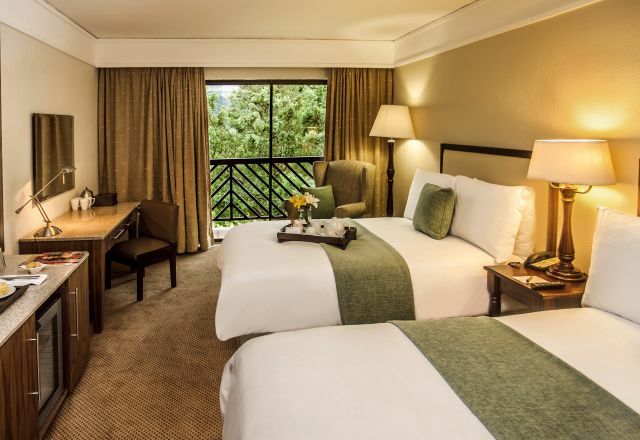 Rooms are available in Standard, Superior, and Executive format, in addition to a Presidential Suite. Rates include Dinner, Bed & Breakfast. Kids under 18 stay and eat breakfast free. Executive rooms at our hotel near Winterton have a king size bed with mini lounge area and en-suite bathroom with bath and separate shower. 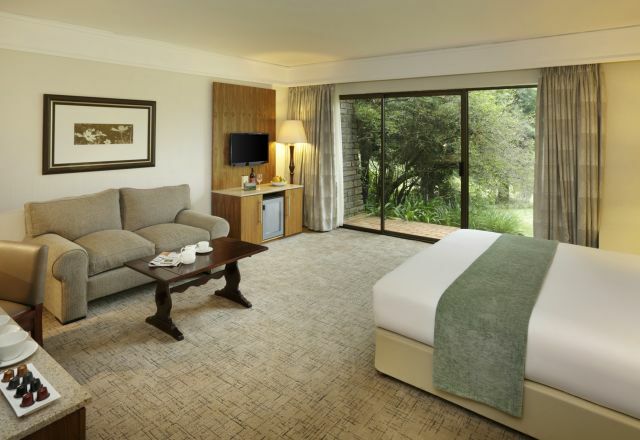 Located on the ground floor The Executive Premium room has a king size bed with mini lounge area and en-suite bathroom. 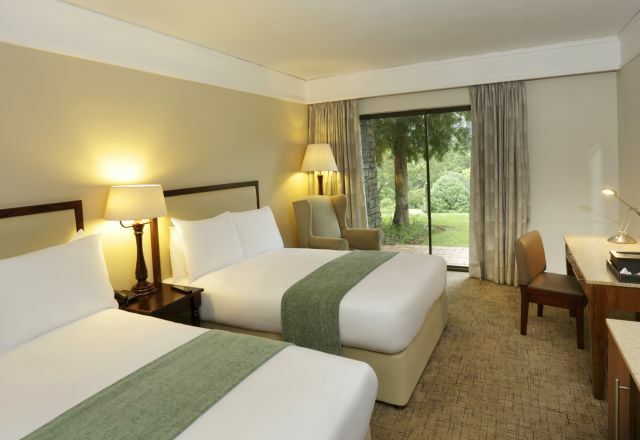 Spacious Standard rooms have either one double bed or two twin beds, and bathroom with an overhead shower. Located on the ground floor with doors leading directly out onto the gardens have two double beds and bathroom with an overhead shower. Superior rooms have two double beds, along with a bathroom with bath and separate shower. Family rooms have two double beds and bathroom with an overhead shower. 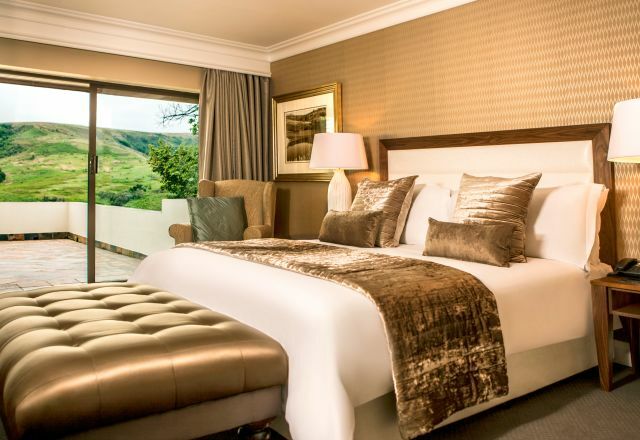 The Presidential Suite has a king size bed with en-suite bathroom boasting a bath and separate shower and walk in dressing room.